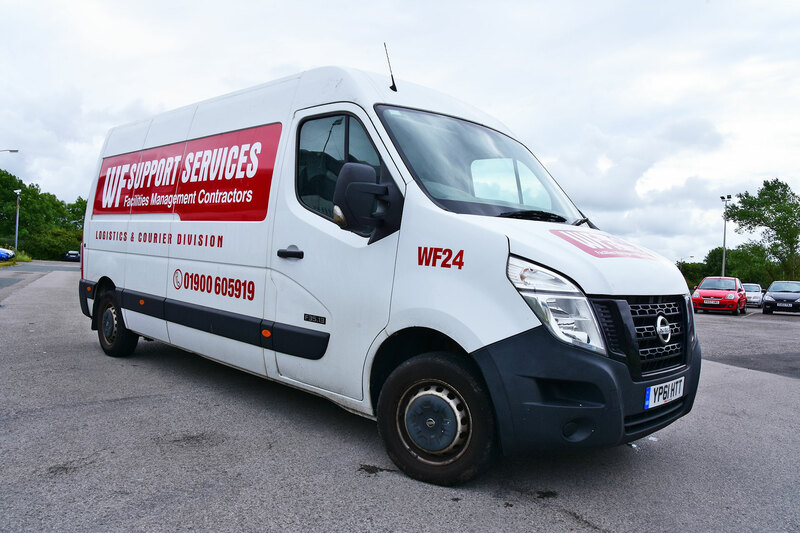 WF Support Services Ltd provide professional courier services with complete distribution and collection throughout the UK, using a fleet consisting of two vehicles, which can handle loads of up to 3 pallets in capacity and up to 1.5 tons in weight. 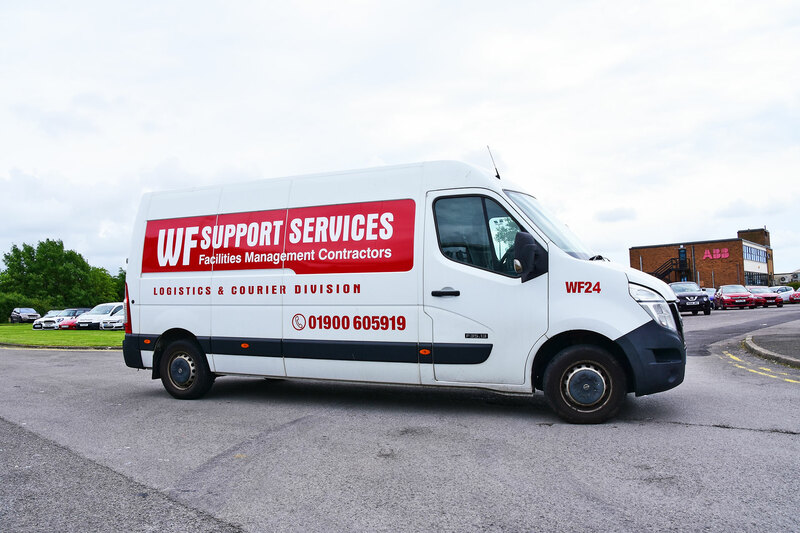 We work for companies of all sizes, from small and local to large and national, so whether you require the collection and delivery of a small package or a large volume load of multiple pallets, WF can provide a fast, competitive and premium service to meet all your logistical needs. If you need professional, fast and reliable courier services think WF Support Services Ltd.
WF offers a same day / next day delivery service. Your urgent small packages, confidential documents and large, time-specific deliveries will get where they need to be, safely, on time and with proof of delivery. Whatever your requirements we’ll go above and beyond to help you. We can provide a range of delivery options because we know it’s important to be flexible to the needs of our customers. We keep those options competitive and cost-effective. For larger volume deliveries we are able to offer a nationwide pallet collection and delivery service, which can handle loads of up to 3 pallets in capacity and up to 1.5 tons in weight. As an experienced courier, we understand the high demand on pallets and that’s why we provide a service that’s both easy, fast and simple to use. We also offer a contract courier service where we provide collection and delivery on a daily, weekly, monthly or ad-hock basis to carry out your delivery requirements reliably and efficiently. If you are looking for a professional, fast and reliable courier service for your businesses contract delivery needs, then please don’t hesitate to contact us.